Nimbus Trio present an all new music program featuring works from their new album Novum and new music in collaboration with Melbourne thereminist and experimental artist Miles Brown. Novum explores new expression for piano trio by Australian composer Kitty Xiao. The works evoke images of renowned Australian photographers Jane Brown and Narelle Autio and explore human discovery in face of the world. Nimbus Trio are advocators of new music and commission, performing works of living composers. 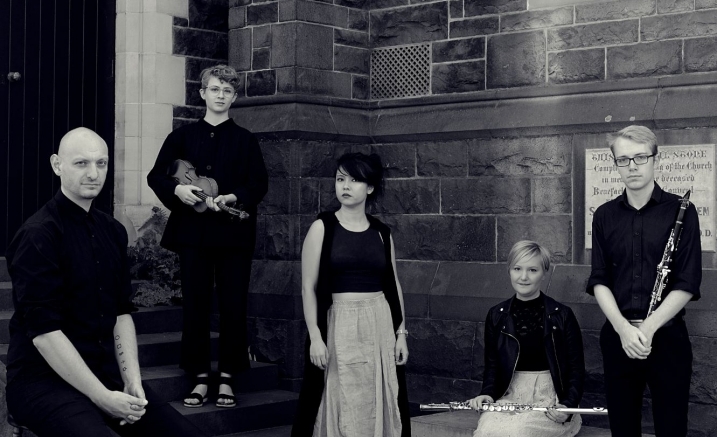 Nimbus Trio are Kitty Xiao (composer/piano), Jessica Laird (flutes), Chloe Sanger (violin), guest artist Tom D’ath (bass clarinet) and Miles Brown (theremin). Nimbus Trio are a represented artist of Move Records.